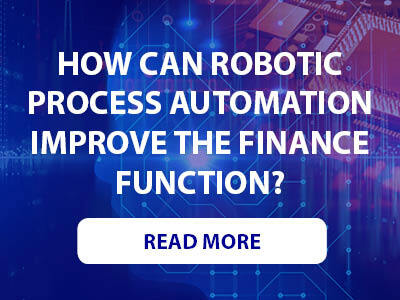 There is no doubt that digital technologies such as Robotic Process Automation (RPA) and Intelligent Automation (IA) have the potential to revolutionize a business' finance function. With the ability to increase efficiencies and relieve employees from tedious, rule-based tasks, their implementation opens the door to a future where the finance professional can step out from behind the spreadsheet and provide their business with more value-adding expertise. But, as the excitement around these technologies grow, there is a danger of embarking on an automation journey without a full picture of errors that hinder their success. Here, we outline four common mistakes that are made when automating the finance function alongside advice as to how you can avoid them. 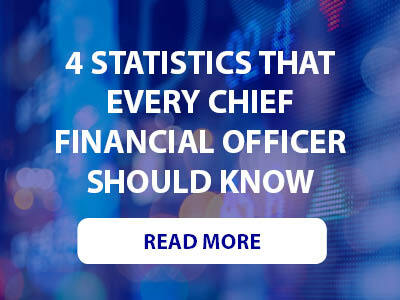 It’s very easy to go looking for the next big thing and, in the digital era, there is no doubt that new technologies such as Robotic Process Automation (RPA) and Intelligent Automation (IA) are taking a front seat in the minds of many CFOs. But, it can be a danger to get over excited and aim to automate everything. Driving forward with improvement should include (1) breaking to see what use can be made of the systems that are already in place and (2) critiquing the processes that seem eligible for automation asking if they should even exist in the first place. In the current digital environment, there are multitudes of solution providers touting automation tools like RPA and AI as fix-all solutions for the finance function. The key thing to be aware of when choosing a provider is the risk of being blocked by their specialised [read: limited] capabilities. "The limitations of a particular solution soon become evident once you've implemented it and customers start asking questions," explains one robotics transformation leader. "Don't put all your eggs in one basket and then come up short. Make sure you leverage every learning opportunity there is." Shop around and contract with 3 to 5 – or even more – IA providers on multiple, smaller projects. As more ‘robots’ enter the workforce, it is becoming increasingly apparent that HR needs to develop a strategy to manage the recruitment, on boarding, maintenance and the eventual offloading of their virtual workforce. Bots require the same specifications as a full-time contractor. As with a human employee, HR needs to carefully manage not just their allocation but also how long they are to be used – whether six months, a year, or more – and the strategy for retiring these resources at the end of their ‘contract’. Additionally, Bots are not necessarily forever and often provide a temporary solution to a problem. The risk here is that the number of bots under management can grow out of control, especially given their ‘invisible’ status. Again, as with any employee, bot resources need to be continually reviewed and appraised to see if their place within the business is of use. Discipline and accountability are good things in transformation. Lack of discipline opens the door to failure. As a result of the controls that accompany it, an advantage of an automated environment is that it translates into a more preventative environment. This is important for many reasons: (1) it prevents ‘backsliding’ as changes are introduced: Without these controls, no matter what changes are implemented, the old ways will too easily slip back in, translating into more manual activities at the back end. And (2) while governance is often thought of as limiting, it is, in fact, enabling: A strong governance framework builds discipline into your activities and prevents calamitous scenarios such as hundreds of performance enhancing bots crashing into each other and crashing processes in doing so.